Known as the “tree of life” coconuts can be used for practically anything. It’s one of the most used ingredients in recipes in any cuisine. Not only are these for consumption, its other parts – leaves, oil, trunk – can be beneficial in other things. Most importantly, they have health benefits. Coconut trees are mostly found in saline-rich coastal regions because they require sandy, well-drained soil. One tree can reach more than 100 feet in height and can live up to a hundred years. The fruit is spherical to oval in shape and measures five to 10 inches in width. The green outer husk is light green and made of tough fibers. Underneath is it a woody shell that holds the edible meat. Coconuts are highly nutritious. They’re versatile and packed with health benefits. They are an excellent source of vitamins, minerals, and essential nutrients that are good for the body. You can get lauric acid – an important saturated fatty acid – from coconuts. This increases the good cholesterol in the body that prevent blockages in the blood vessels (atherosclerosis). Contrary to what most people think, coconut oil helps lower blood pressure and even aids in maintaining healthy lipid profiles in pre-menopausal women. There are other useful acids present in coconut oil. Capric acid, caproic acid, caprylic acid, and myristic acid can be used to treat candida, a yeast infection that occurs in the stomach. Coconuts provide relief from the inflammation caused by candida. The good thing about this is, unlike pharmaceutical treatments, coconut oil has a gradual effect, giving patients more time to get used to the withdrawal symptoms. Coconut oil contains antimicrobial lipids – lauric acid, capric acid and caprylic acid – that have antibacterial, anti-fungal, and antiviral properties. These help the body fight viruses and bacteria that cause illnesses like influenza, herpes, and even HIV. Studies have shown that coconut oil has the potential to reduce the viral load of HIV patients. The body converts coconut oil into monolaurin, a fatty acid that possesses antiviral properties believed to help treat AIDS. Furthermore, it has also been found to kill viruses that cause measles, hepatitis, influenza, and other health problems. Coconut oil are also effective in providing relief against gonorrhea, throat infections, ulcers, urinary tract infections, pneumonia, and even cure Alzheimer’s disease. Coconuts are effective in controlling blood sugar and improving insulin secretion. By promoting the proper utilization of blood glucose, coconuts help prevent and treat diabetes. Coconuts are packed with antioxidants that are useful in ensuring your body stays strong against diseases. They fight infections, improve metabolism, kill bacteria, regulate hormones, and build cells among others. Research has discovered the positive impact of antioxidants on relieving stress. They help the body absorb important minerals efficiently, like calcium and magnesium – both of which are necessary for bone development and the prevention of osteoporosis. Another surprising thing about coconuts is their fat content can be easily converted to energy, which is useful for athletes and people who want to lose weight. Coconut oil possesses short and medium-chain fatty acids that remove excess weight and increase the metabolic rate. One research suggests that it can lower abdominal obesity in women. At the same time, it cures digestion-related problems, like irritable bowel syndrome. The list of coconuts’ health benefits don’t end here. They help improve dental health, protect the pancreas and the liver, regulates the thyroid, prevent kidney and gallbladder illnesses, keeps hair and skin healthy. Coconuts can be enjoyed in various ways. You can enjoy them in the traditional way or use them in smoothies. Use them as an ingredient for baking, in soups, and other savory dishes. We have a list of tasty coconut recipes that you can follow at home. Coconuts help keep skin and hair stay healthy. Coconuts facilitate proper weight loss. Coconuts can prevent cancer, diabetes, and osteoporosis. 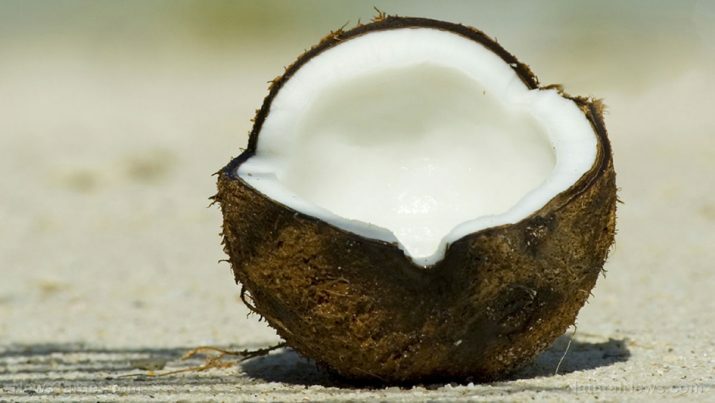 Coconuts can potentially treat HIV. Coconuts provide relief from stress and even cure Alzheimer’s disease. Coconuts can boost energy and immunity.